Shaquille O’Neal started his career in the NBA, quickly becoming one of the most legendary basketball players of all time. From there, he became an all-round pop culture icon, finding great success as a Hollywood actor and particularly as a rapper, with four studio albums and nine singles to his name. Now, Shaq is embarking on a new step in his musical career by pursuing his talent for DJing. Shaq is much more than a celebrity who has decided to become a DJ on a whim. The NBA Hall of Famer has been DJing since he was 14 years old, and he kept up the practice throughout his basketball and movie careers. 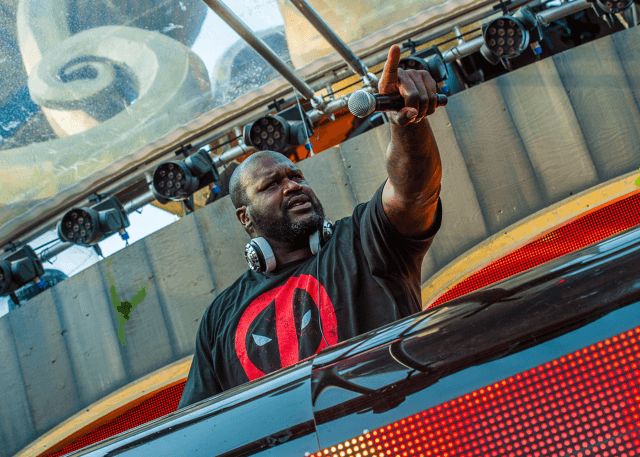 In the summer of 2018, Shaq embarked on a major DJ tour, playing venues across North America and Asia, and the hugely successful Shaq’s Fun House event, which featured guest sets from the likes of Steve Aoki and Diplo in a carnival-like atmosphere. After scaling dizzying heights as an athlete, an actor and a rapper, expect Shaq to dominate the DJ scene for the foreseeable future.